“To grow up as competent and confident learners and communicators, healthy in mind, body, and spirit, secure in their sense of belonging, and in the knowledge that they make a valued contribution to society” (Te Whāriki, Early Childhood Curriculum, Ministry of Education, 1996, pg 9). To cope with an ever-changing world in communications, technology, and work, children need to cope with change and be capable of acquiring new knowledge and skills. Te Whāriki provides an educational foundation that supports the full range of skills that children will need as life-long learners. 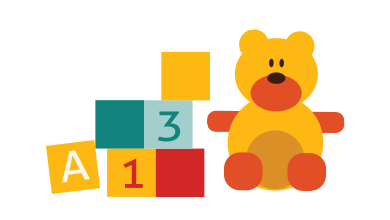 Each Educare Early Learning Centre has developed its own programme to implement the curriculum. Their programme reflects the interests of its children, their whānau, its environment and the surrounding community. Planning for the programme begins from observations of the children’s interests, strengths, needs and behaviours. Planning helps the teachers to understand what young children are learning, how the learning happens, and the role they and other children play in such learning. Construct objects of beauty, paint, draw and sculpt. Language/s, mathematics, science, technology, social services, the arts, and health and physical well-being are woven throughout the planning to meet our desired outcomes for children at Educare.